This home-made 6x17cm back, built along the same lines as the "Longfellow" camera in Appendix II, works with wide-angle lenses even on a 4x5in camera because the 4x5in aperture is in the middle of the light path, not at the back. 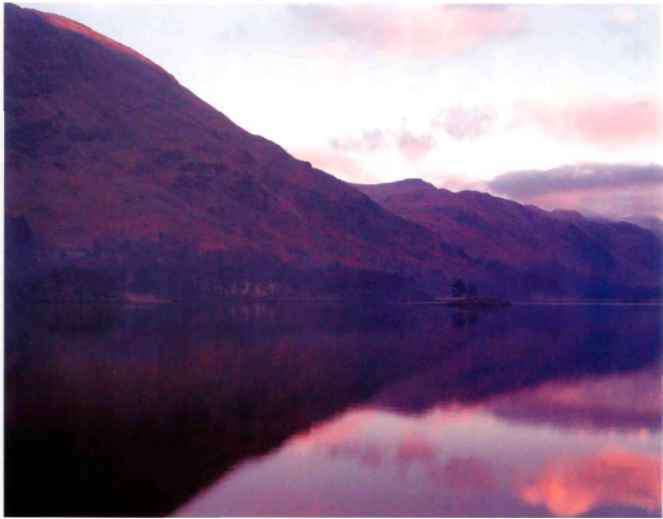 Fairly obviously, a 4x5in camera can accept a roll-film holder for any film size up to around 6x12cm. Although 6x12cm backs are very expensive, a 4x5in camera with a 6x9cm or 6x7cm roll-film back can be a very economical route into medium format, even if you never use 4x5in. The main advantage of the larger format is when you want just a tiny bit more effective rise on the long dirrension than you can get on 6x7cm: the taller forma: will give you this. 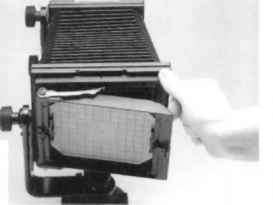 "Binding" of bellows, especially with wide-angles, is often a problem, so you need bag bellows, or unusually flexible pleated bellows. If the client gets to see original transparencies, the extra size of 6x12cm is somewhat more impressive, and there is once again the argument about extra rise, as with 6x9cm versus 6x7cm. Some photographers use only 6x12cm roll film, rather than smaller formats, for these very reasons. 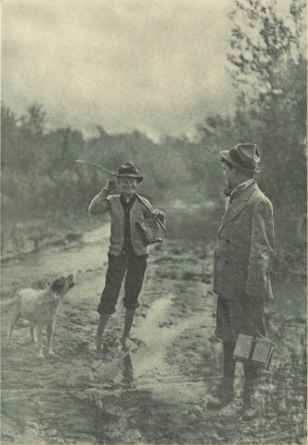 On the other hand, 6x12cm backs are typically 50 to 100 percent more expensive than 6x9cm, reloading is inconveniently frequent, and, as already noted on page 49, the extra size is often cropped anyway. Even though 6x12cm backs cost a lot more than 6x7cm or 6x9cm, they can be fitted onto a 4x5in camera to make a relatively cheap 6x12, as compared with buying a purpose-made 6x12cm camera. Gandolfi Precision cameras have plain spring backs and can therefore accept only slip-in holders - but a (relatively) low-cost Graflok adaptor is made which accepts any roll-film holder, and replaces the entire 4x5in camera back. Horseman roll-film holders have an additional locating rib that fouls the back of some cameras and prevents satisfactory seating of the roll-film holder. We had to have this rib milled off in order to use our 6x12cm holder with our Toho. Although 6x6cm backs are available, the film area is inconveniently small (especially after cropping), and on the used market, prices are invariably low. At the time of writing, only one manufacturer (Sinar) offered a multiformat back, which was so staggeringly expensive that most people would find it cheaoer and easier to buy two or even three separate backs, one for each format. Plain spring backs with a nonremovable ground-glass frame will not accept conventional roll-film backs, so the only option in most cases is slip-in backs. also known as "there and back again" backs. These have both the feed spool and the take-up spool at one end. The film runs all the way to the end of the holder, along the front, and then back again, along the back. 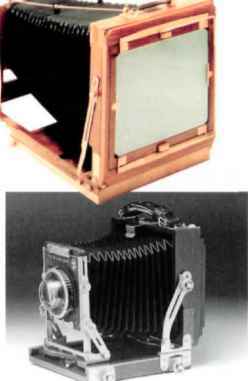 Although these have two great advantages - in addition to the fact that you can use them in just about any camera, the film feed path does not kink the film before the film gate - they can also suffer from reduced film flatness and marginal light-trapping, especially on the first frame. CAMBO AND GRAPHIC BACKS The Cambo back, half-inserted in the camera (a Cadet, this time with optional Graflok bars fitted) can be pushed under the ground glass of most 4x5in cameras: there is no need to remove the back and use the Graflok bars (page 74). Cambo backs are made in 6x7cm, 6x9cm and 6x12cm. The fatter Graflex back (long discontinued) is typical of the sort of back that can only be fixed with the ground glass removed, unless the camera has an unusually wide "gape." Different backs have different degrees of "gape," that is, the space under the ground glass. This Cadet, here seen without Graflok bars, is fairly typical: anything less than about 1 in (25mm) thick can be slipped under the glass. A few have a smaller gape, and are hard pressed to swallow even half an inch (12mm), while a few others have a wider gape and can take even a two-inch-thick (50mm) roll-film back. One of the leasl expensive 4x5in monorails ever built, the Cadet is wonderfully simple and unintimidating, but still retains full movements front and back. The 168mm Dagor on this camera is something of a cult lens. Frances shot tnis on Polaroid Type 55 P/N using a Cadet and a 203/7.7 Kodak Ektar -hardly an expensive combination. This is a contact print on Kentmere Roomlight Contact Paper, but even as a 16x20in/40x50cm enlargement, tonality is gorgeous and the detail goes on and on. The monorail has been the standard professional choice for studio work since the early 1950s, and remains the most versatile form of LF camera to this day. As well as 4x5in/9x12cm, there are "baby" monorails (6x9cm) these are 5x7in/13x18cm/half-plate, whole plate (for which no film is available nowadays - page 83), and 8x1 Oin. Many have interchangeable standards so that you can use the same front end with a variety of rear ends in different formats. To do this, you often need different bellows: the alternative is a "reducing back," which consists of (for example) a 4x5in back in a large surround, so that it can be dropped into an 8x10in camera (page 75). For extreme extension, some allow the use of a middle standard with two sets of bellows, one from front to middle and one from middle to rear. Most, too, allow interchangeable bellows, either long ones for extra-long extension with long lenses, or bag bellows for very short extensions with extreme wide-angle lenses. Most monorails offer extensive movements both front and rear, and of course indirect movements (page 69) are normally easy to obtain. Prices span an immense range, even new: the cheapest monorails are comparable in price with a decent zoom compact, while the most expensive cost as much as a second-hand car. When you pay more, you generally get more durability; more convenience of use; more movements (the cheapest models may omit direct rear rise/fall and cross); and geared or micrometer movements, which some photographers cannot live without but we regard as a zero-sum game, being equally happy with smaller, lighter cameras. Although the monorail offers all the advantages listed above, it also suffers from the significant drawback that it is usually very bulky. Our 8x1 Oin monorail seldom leaves the studio: for location 8x1 Oin photography, we normally use a wooden field camera, the Gandolfi Precision, instead. The VX125 is one of the most expensive monorails on the market but it is also very compact, thanks to the telescoping rail (a feature shared with the Toho FC45X and the Linhof Technikardan) and the unstiffened bellows allows extreme rise, even with ultra-wides. The movements of the Kardan Color are somewhat limited, especially at the back, but these vintage Linhofs, based on the Technika field camera, are a pleasure to use and can sometimes be found surprisingly cheaply. Monorails are so modular that it is sometimes possible to meld two "scrappers" of entirely separate makes. This is mostly De Vere, but with an MPP rear standard. There are, however, a few monorails that are designed to pack up much more compactly, and we own two of them, the Toho FC45X (page 98) and the Linhof Technikardan. The Toho is by far the smaller and lighter; packs up and unpacks faster; offers full movements front and rear (as does the Linhof); and is more than strong enough for careful use. We travel abroad with it far more than we do with the Linhof. 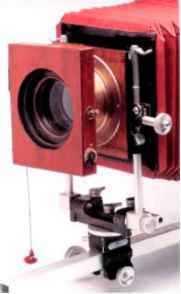 The Linhof, on the other hand, has more convenient movements; is significantly more robust; accepts interchangeable bellows (the Toho's are fixed); has built-in levels; and is easier to use with the 6x12cm back. 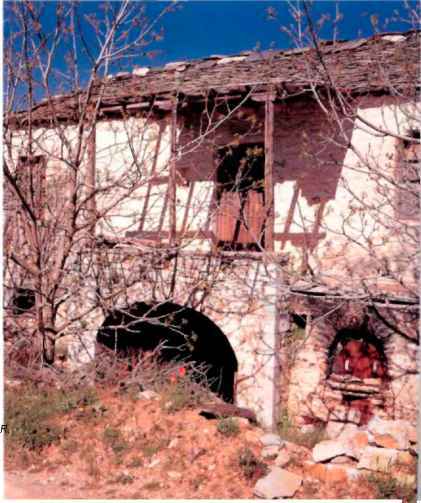 The Linhof, therefore, tends to be used more at home or when we are travelling by car. Almost all monorails have "on-axis" movements. In other words, the swings and tilts are on an axis that goes through the middle of the lens panel or film holder. When you use the swing or tilt, the middle of the image stays in much the same focus, with only the top and bottom (or left and right) changing focus. The on-axis rear swing and tilt a'e particularly easy to see on the Cadet (left). Compare this with the "off-axis" movements found on some field cameras (page 89). 'Yaw-free" is a refinement of "on-axis," but it seems to excite advertisers more than photographers, few of whom understand it, and even fewer of whom care. L-bracket construction, shared with the (very much cheaper) Cadet, is often reckoned to be the best way to build a monorail. 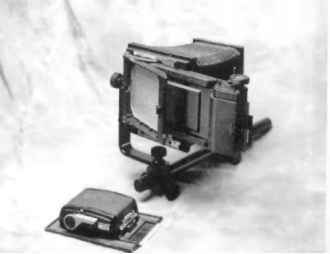 The Variant can accept interchangeable bellows (above) and rear standards of different formats: the 8x1 Oin, set up and folded, is shown below, left and middle. The 4x5in is blocky when folded (below, far right). A 5x7in is shown on page 80. 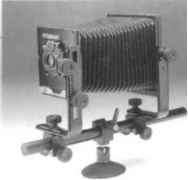 Most of the wocden field cameras available today would not be particularly unfamiliar to a photographer of the late nineteenth century, and they would net be too surprised at the metal versions, which derive from the "hand and stand" models of a hundred years ago. Both wooden and metal field cameras fold away very small, and wooden cameras can also be admirably light, so the appeal of both kinds is easy to see. Because any reasonably competent woodworker can build a wooden field camera, there are numerous manufacturers, many of whom make only a handful of cameras a year, embodying their personal priorities. Indeed, you can even buy kits (from Bender) to build your own wooden camera. 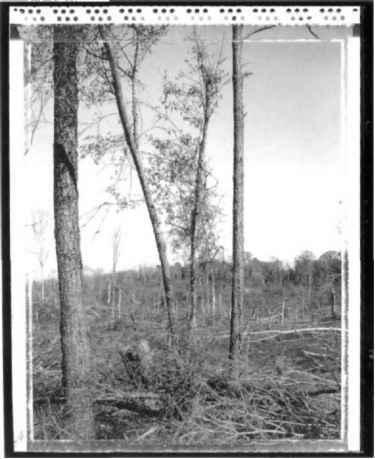 When it comes to formats larger than 8x1 Oin, wooden field cameras are the only design available: there are no monorails, and no metal field cameras. 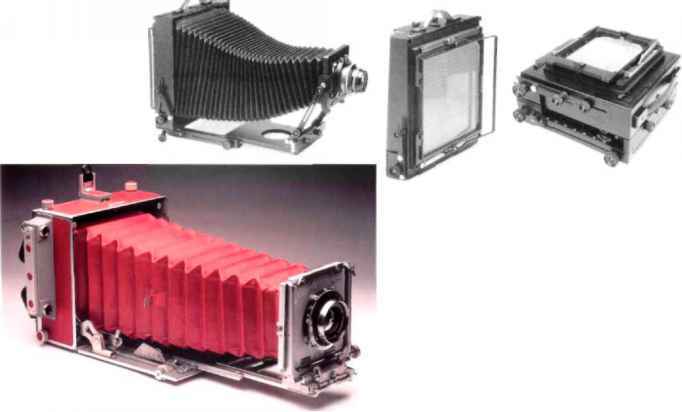 Micro Precision Products borrowed ideas from both Linhof and Graflex: their cameras are in some ways superior to either. Four articulated rods allow the back to be swung or tilted (off axis - see panel) by about 15 degrees: the locking knobs are at the corners. At the front, there is rise, cross, swing and (off axis) backward tilt only, though a side-mounted tripod boss allows swing to become tilt, cross to become rise and fall, and so forth. Some Linhofs have a second tripod socket in the roof to allow the camera to be mounted upside-down for similar reasons. Unless you plan on working exclusively in the studio (in which case a monorail is likely to prove a better choice), field cameras are probaoly the most useful compromise for most people. Wooden field cameras are normally lighter; metal ones, often known as "technical cameras," are stronger and more rigid, and may even have coupled rangefinders; and there is one line of field camera, the Walker Titan range, that is made of injection-moulded ABS and stainless steel. There is a picture of a Titan on page 32. 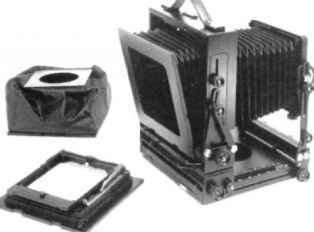 The typical 4x5in press camera is a simplified field camera, with fewer movements, a fixed double-extension bellows, and a built-in coupled rangefinder. 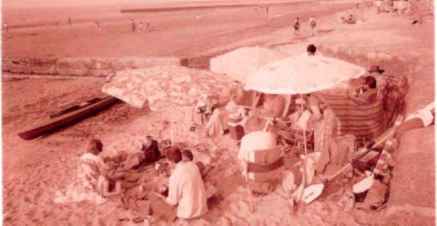 Its heyday was the late 1930s to the late 1950s. 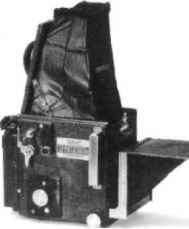 Press cameras are sometimes encountered in 6x9cm and quarter-plate (page 83). Often, the front and back of a field camera are hinged at the bottom, so tilt is "off-axis." In other words, if you use the tilt, the whole standard moves forward or backward -a little at the bottom, a lot at the top - so you have to refocus the whole image. Although "on-axis" movements are more convenient (page 87), many photographers find that the savings in weight and cost outweigh the loss of convenience. Some grow so used to off-axis movements that they even prefer them. The Woodman is one of the smallest, lightest 4x5in field cameras available, weighing just 1.35kg (3lb) without lens. 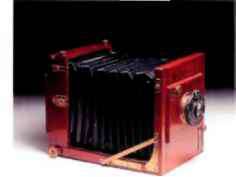 The Imperial, made to Roger's design in India in the 1980s, featured removable top locking rods for extra rigidity -a significant concern with a light 11x14in camera. The Cambo Wide accepts a range of lens cones for different focal lengths: this one stretches the definition of "wide" somewhat, with a 150/5.6 Apo-Symmar. We have adapted this Graflex, inherited from Frances's late father, to accept a quarter-plate Polaroid back: Type 665 makes an excellent portrait film, and the 150/4.5 Ektar is an ideal focal length for portraits on quarter-plate. As well as monorails, wooden and metal field cameras, and press cameras, there are at least six other options: wide-angle cameras, reflexes, doppel-klapp cameras, tailboard cameras, aerial cameras and other rigid-bodied cameras. If you go back far enough into the past, there are also sliding-box cameras, where one box slides inside another for the focusing movement, but these really are early: few were made after the 1850s. Some manufacturers make wide-angle variants of their standard field cameras, with short bellows and reduced movements: the Walker XL is one such. 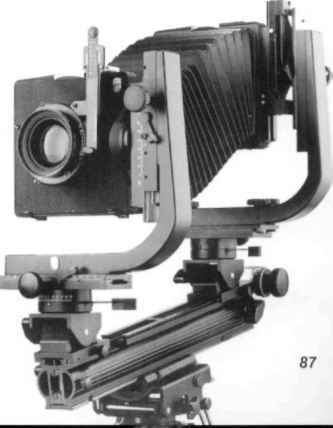 Others make all-rigid cameras, typically with front rise/fall/cross only: these are often known as "pancake" cameras, and come from Cambo and others. Because of the shallow depth of focus of wide-angle lenses, front/rear parallelism is very important. If you plan on using 58mm or shorter lenses on 4x5in, a wide-angle camera, or one with interchangeable bag bellows, is all but essential, and with focal lengths up to about 121mm they can be a good idea. The most common size for LF SLRs is quarter-plate (3Kix4Kiin/83x108mm), but 4x5in and even half-plate (4%x6H>in/121x165mm) and whole plate (6/»x8M'in/165x216mm) reflexes are encountered: the largest models resemble tea chests with a focusing hood. They were last made in any quantity in the 1950s or (possibly) the very early 1960s, but they remain excellent for portraiture by continuous light, though huge, slow-moving focal-plane shutters synchronize s'owly, if at all. with flash. There have been one or two LF reflex cameras since, including the Noblex. The only remotely common LF TLR is the Gowlandflex, still available at the time of writing, to special order, in a variety of formats. These resemble two book-sized blocks, typically joined by a pair of X-shaped brackets: the 6x9cm Plaubel Makina, illustrated on page 64, is a typical example, though most 4x5in or (more usually) 9x12cm versions did not have a rangefinder. They were popular as press cameras until the early 1950s. These take their name from the way they were built: a Gandolfi tailboard is illustrated on page 92. For transport, the rear standard is racked all the way forward, and the focusing track behind it - the tailboard - folds up and protects the ground glass. They were introduced in about 1860 and remained in production for around a century, from a wild profusion of manufacturers, and in numerous formats. They have rather more limited movements than most field cameras, and do not pack up quite as small, but they are very strong and the covering of the ground glass for transport is a major attraction. They remain usable today. As well as big aerial survey and reconnaissance cameras that are built into aircraft, there have been a number of aerial cameras for hand-held use. Some use 4x5in film, and a few use roll film, typically Sin. Most have lenses fixed at infinity, and some have vacuum backs or glass pressure plates to hold the film flat. Rigid bodies are the norm: bellows react badly to slipstreams. They are likely to be of limited interest to most people. From time to time, rigid-bodied LF cameras are introduced with helical lens mounts. They are useful for applications such as group portraits, or in locations where strength is at a premium, but they are highly specialized. The Gran View, illustrated, is an example: there is also an 8x1 Oin version. The Gran View is a simple camera: a back of unique design (which nevertheless accepts standard film holders, though not Grafmatics) and a lens cone with focusing mount. Few cameras are so hopelessly rickety that they cannot be restored to adequate working order via a thorough cleaning, a replacement of washers on locking screws, and (where necessary) lubrication. Use fine machine oil on the point of a toothpick for metal parts, and a soft pencil or a wax candle for sliding wooden surfaces. Missing screws can often be replaced temporarily, albeit unaesthetically, with modern screws, and in most towns there is a jobbing engineer who will make up parts, to pattern, surprisingly cheaply, though this is only worthwhile for a really nice camera. Patch bellows with two tiny pieces of leather, one on the outside, one on the inside, glued in place. Camera Bellows, a 100-year-old British company, can make new bellows for almost any camera, and this is certainly an option -it may well cost less than you expect. GANDOLFI UNIVERSAL This tailboard camera was in production from the 1890s to the 1960s: Gandolfi will still make them today, to special order. They will also make new standard-fitting backs, for older models built for book-form holders. If there is a lens on the camera, and it can be cleaned adequately, try it. If there is no lens, but a lens panel, you may have to indulge in some creative tinkering, or make a new panel. Good materials are thin ply; light alloy sheet; and (for temporary use only) cardboard. Very old lenses may well be in a "barrel" (nonshuttered) mount, but trawling a few camera fairs will often turn up various patterns of front-of-lens shutter that can be clamped onto the lers. If the film size is still available, you are home and dry. If it is not, you may have to cut film to size, in the darkroom. Remember that llford Ortho Plus can be handled under deep red safelighting. Just for testing, you can even try photographic paper: assume an ISO speed of around 2. With conventional (block-form) plate holders, you may be able to find a film-to-plate adaptor at a camera fair. Alternatively, you may be able to wedge the film in using a rigid stiffener as backing, which works surprisingly often: an old glass plate, or a sheet of Formica or similar thin laminate facing, is ideal. Book-form plate holders (page 73) are much easier. With the "book" open in front of you, place the film face down on the open side: put a sheet of Formica, or an old glass plate, or anything similar, in behind it; swing over the center "door," and lock it; then repeat the operation for the other side. If you can find a modern, standardized back second-hand at a camera fair, this may be the easiest approach: with a reversing back, you can simply remove the old back and set it aside, so you do not have to make any irreversible modifications. Pulling the string half-way down opens the shutter for focusing; pulling it all the way down draws the second blind over the lens. Speeds (Vw-Vw second) are set by adjusting the shutter tension, winding a little knob on the side. Releasing the spring beneath the setting knob releases the tension, back to '/o second. One of our working cameras is an 8x1 Oin De Vere, complete with 5x7in and 4x5in reducing backs. It came with just the 8x1 Oin back, and a 24in (60cm) bellows and rail. The local metal stockholder supplied a metre of 25mm square tube for the rail; Camera Bellows built us a one-meter bellows on the original bellows frames; and we found the two reducing backs a few years after we got the camera. We use it with our 21 in f/7.5 Ross lens for Hollywoodstyle portraits. The whole thing, including the lens, shutter, rail, new bellows and reducing backs, cost us very little more than the price of a new, mid-range 35mm SLR body, or a good (but not top end) compact. 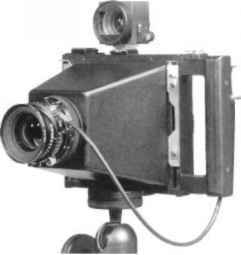 This is the camera described in the text. Any camera designer must compromise between weight, size, price, durability, rigidity, convenience and versatility. The buyer has to consider all this; and whether to buy new or old; and the "personality" of the camera, which is often far more apparent with LF than with MF or 35mm. At one extreme, the Peckham-Wray 4x5in aerial camera is massively strong. utterly rigid, and very easy to use for its intended purpose, but very heavy. 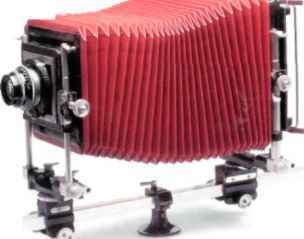 It has no movements, helical focusing (no bellows), and no ground glass. At the other extreme, the Toho FC45A is a full-featured 4x5in monorail camera that weighs little more than a kilo (about 2J£lb). But a ham-fisted assistant could probably write it off in ten minutes, and the wildly off-axis base tilts are so inconvenient that most people prefer the slightly heavier (by about 350g/14oz) but much more rigid FC45X, with considerably cleverer camera movements. These are extremes, but they well illustrate the point. If you buy a small, light camera, you will have to treat it with more respect than a big, heavy one. One reason why big, heavy old Cambo monorails are so popular in rental studios is that they are next to assistant-proof: photographers' assistants are legendary for the damage they can irnocently do to defenseless cameras. In general, too, if you want more movements, you will need either a heavier camera, or a more expensive one (sometimes both). For maximum movements, you need either a monorail, which is generally a lot less convenient to carry around and set up than a field camera, or a Gandolfi Variant, which is one of the biggest and heaviest 4x5in field cameras made. The danger always, is being sold more camera than you need - and worse still, a camera that doesn't suit your personality. One of the greatest mistakes you can make is buying all the extra features and movements you can possibly find, "just in case." 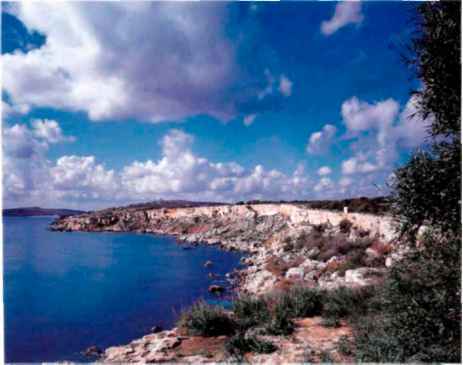 In fact, you may even be better off to buy two cheap second-hand cameras, each optimizec for a particular application, rather than one super-deluxe new model that promises to do it all. In the studio, a monorail is wonderful, so buy an old, beat-up Cambo or even De Vere or MPP: just don't try to carry it very far. For landscapes or architecture, buy a light wooden field camera, or maybe an MPP Micro-Technical, which is a bit heavier but which you can more or less throw in the trunk of a car without putting it in a case. Newcomers to LF often dismiss field cameras (and some others, too) because they can flex the front and rear standards relative to one another: "Insufficiently rigid,'' they cry, after locking all the movements as tight as they can, and then hauling like King Kong on the hapless apparatus. They are quite wrong. You can flex any camera if you exert enough force. 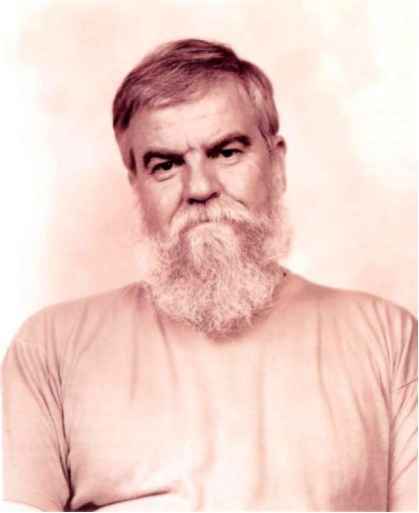 The critical questions are, first, are you exerting a realistic force, or are you emulating the action of an assistant (see text, opposite); and second, do the various parts go back to the same relative positions when you let go?